I went through several different photos before choosing this photo of the photo of the week. I love the silhouettes, and the sunrise beneath the clouds, I think makes for beautiful colouring. 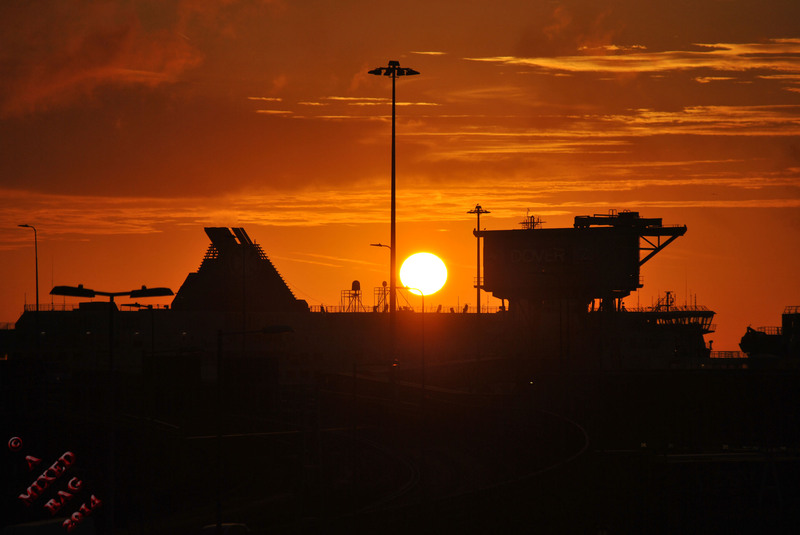 This entry was posted in Photography and tagged Dover Docks, Landmarks, Life, Nature, Nikon, Nikon D3000, October, Photo of the Week, Photos, Postaday, Sunrise. Bookmark the permalink. The orange is what makes it pop! It is a pretty photo, the coloring and silhouettes. What a beautiful sky. Great snap! Great choice! Perfect sunrising shot! The orange sky, Wow!! Thanks Amy. I loved the way the colours were.